Sea King HAS.1 converted to carry retractable Thorn-EMI Searchwater AEW radar extended on boom from starboard main door. 9 conversions. 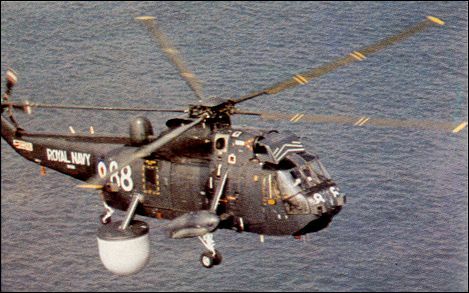 � Sea King AEW.Mk 2s are known to their crews as 'bags'. � Searchwater radar used by the AEW.Mk 2 is similar to that fitted to RAF Nimrods.